Check out my ad on Seattle Craigslist. 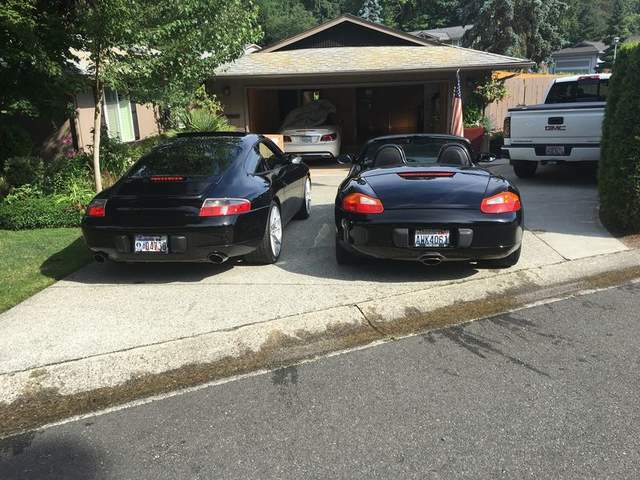 Long time 911 and Boxster owner, PCA member. Perfect collector quality car, no dings, chips or flaws. Wife's car seldom driven. All stock and original except for front bumper repaint. Books, keys, records including a receipt from Chris's German in Redmond, WA for IMS, clutch, flywheel and mounts. $9,500. Black/black.